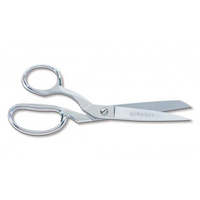 Gingher 9" Lightweight Bent Trimmers are crafted with tough, stainless steel blades; strong enough to cut multiple layers of fabric smoothly. 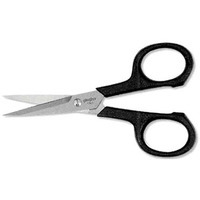 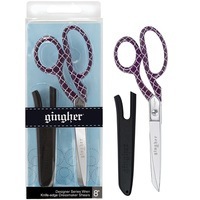 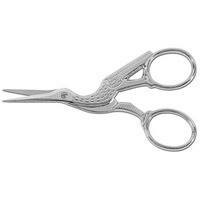 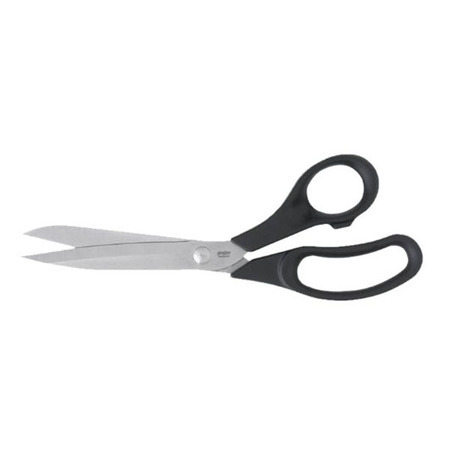 The lightweight, black molded nylon handles on these scissors are specially contoured to be comfortable for either left or right-handed users. 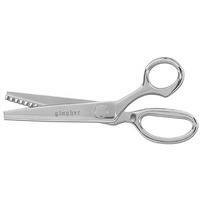 Gingher 9" Lightweight Bent Trimmers are bent so you can cut comfortably across any flat surface.